20061028 INTERNATIONAL WATERS : CENTRAL NORTH PACIFIC OCEAN A small brachyura crustacean has found a home in a black plastic screw cap after being trawled out of the ocean by the 'Yellow Thing' in the high seas of the Central North Pacific Ocean at 25 15.4 N, 155 57.6 W, 28th October 2006. The 'Yellow Thing' is a neuston trawl for surface plankton and the associated plastic particulate debris. 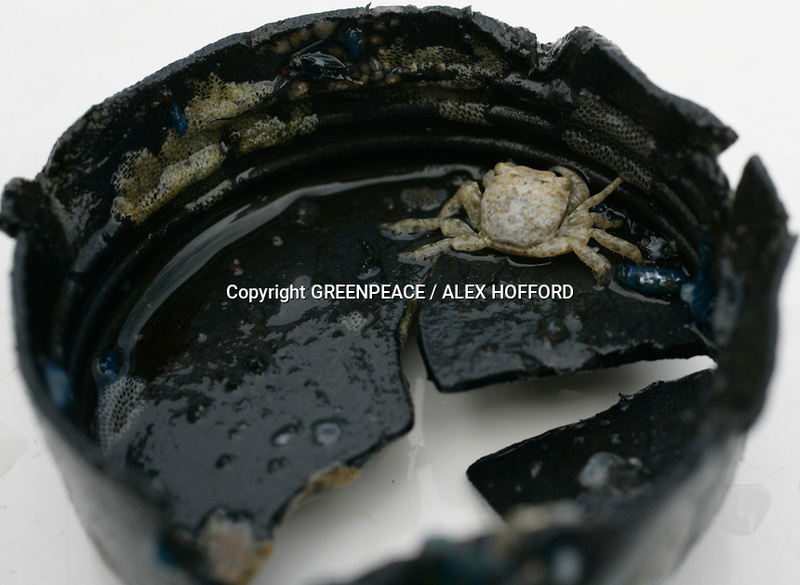 Greenpeace are highlighting the threat that plastic poses to the world's oceans.